Finish: none so what ever. Wow, I really wanted to write a positive review after those negative ones below. But the more attention I gave this, the worse I think it is. The IB's and 2017/2018 Feis Ile bottlings are a great lot better, luckily, IMHO. Short, bitter in the end, slightly drying. Sulfur, fudge and some sherry notes die quickly on the tongue and on the side of the tongue. Not pleasant. why 81P and not 80 P? "that was the cutter chugging past"
2 nd review after 7 months. No change in rating. Good sherry nose, Vanilla, caramel, nuts and a maritime touch. Loads of malt. Light creamy, honey and sherry sweet with a good amount of spiciness. Too salty near the end when drying out. Since surprise me the rather below average ratings, this special sherry mix would have to please the Sherryheads, I think it's very interesting. On the nose, it's malty, full of cereals (hay in August !! ), and vanilla, and scent of dried fruits! On the palate, vanilla, almost pastry, dried flowers, dry emblems and a spicy sweetness, return of light salty smoke. In the finish, simple but tenacious, not very strong, but monolithic and durable on the dry fruit, and a little cocoa. 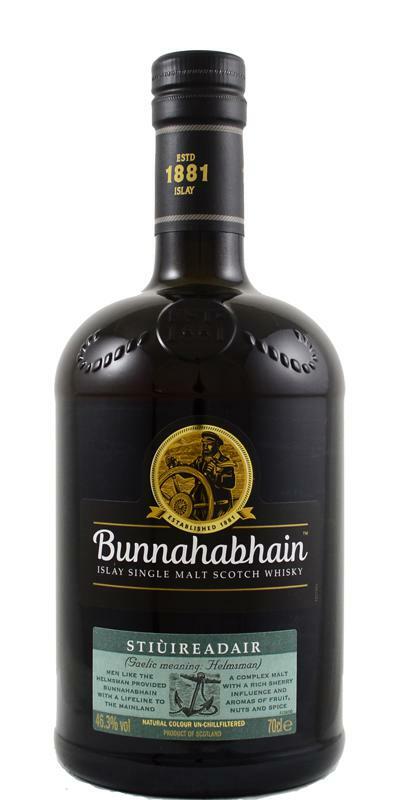 A surprising dram, not peaty, but traces of dry smoke, rather scattered fruit aromas, towards blackcurrant, vanilla that regulates everything! a NAS supposed to replace the 12? simple, but in my strings! malt, macerated fruit, spicy, velvety, nuts back. spicy, malt, sherry with mold and slightly cooked fruits, some wood and salt iodine. woody, kernel, crushed almond and still waxy on the nut! frank, short to medium on the same scents !! 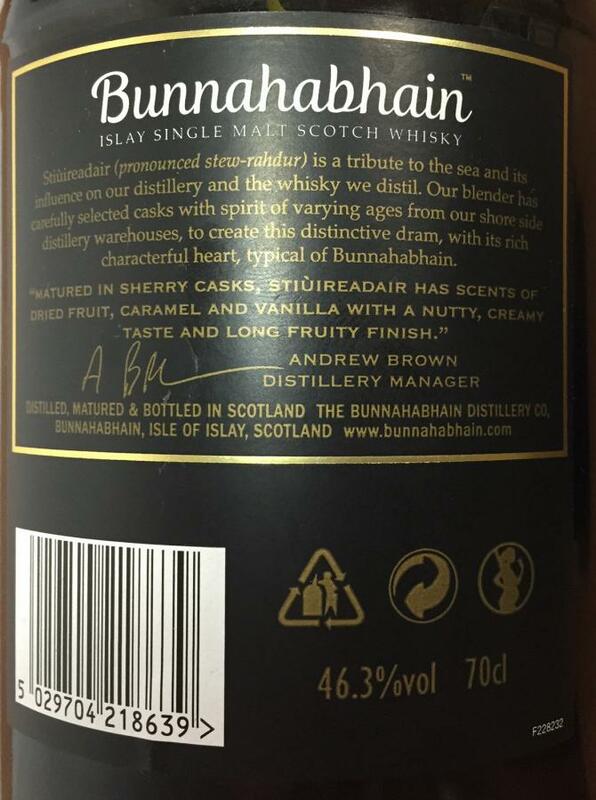 This dram resembles the PX sherry casks at the warehouse 9 tastings at the distillery, though not at cask strength of course. 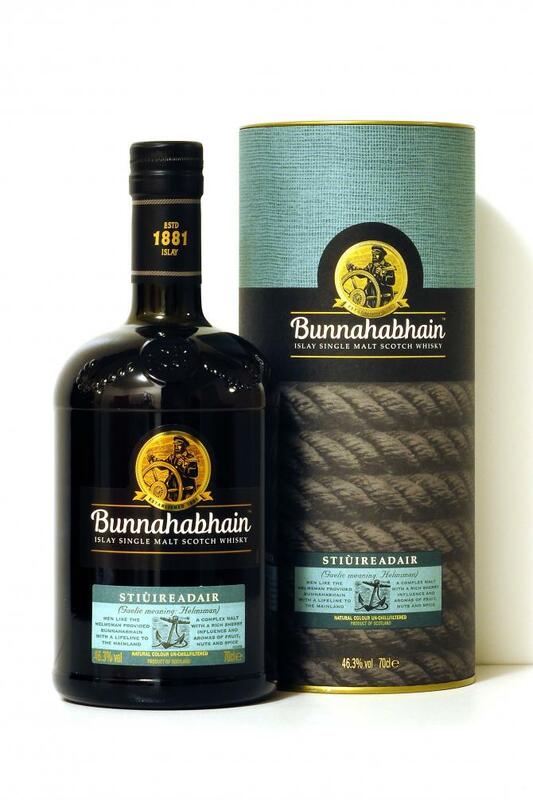 It is a good sipping whisky with some earthy and PX notes. Certainly lacking complexity but that's not the order for a sipping whisky like this. A still young, but very neat malt! Warms, is interesting, but a bit monotonous. Would like to dilute it again with water, just a few drops. I suspect that he can do more than he has revealed to me. Will definitely try it again and possibly re-evaluate.